Education is an investment in your future. In order to alleviate some of the financial burden, financial aid is available to qualified students and their families. 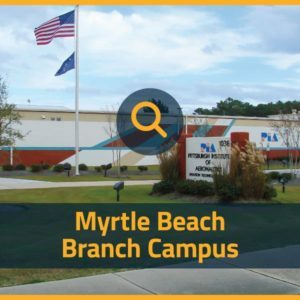 Financial aid recipients must be enrolled in our school of specialized technology programs (AMT & AET). PIA’s Financial Aid office is available to assist students and families with the process of applying for financial aid. Our website will answer your questions and guide you through the process of applying. If you have questions about this information please e-mail our Financial Aid Department at Financialaid@pia.edu or call 1-800-444-1440. CAUTION! Do not pay a fee to apply for financial aid or scholarships. The FAFSA and legitimate scholarship applications are free. A Free Applications for Federal Student Aid (FAFSA) should be completed by anyone seeking a college education. It is the portal to help determine many of the following programs. PIA’s School code is 005310. Federal Pell Grant. Students may be eligible for the Pell Grant regardless of their state of residency. Pennsylvania State Grant offered by Pennsylvania Higher Education Assistance Agency (PHEAA). 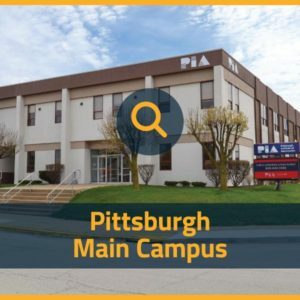 Students must be a PA resident attending the Pittsburgh Campus. New to the Free Application for Federal Student Aid (FAFSA)? Take a moment and learn more by watching this short 2 minute video. Grants: monetary awards that don’t need to be repaid. Scholarships: monetary gift aid that does not need to be repaid. Loans: monetary awards that must be repaid. The FSA ID is a username and password. The FSA ID being used to access personal financial aid information online and electronically sign Federal Student Aid documents. Your FSA ID confirms your identity when you access your financial aid information and electronically sign Federal Student Aid documents. If you do not already have an FSA ID, please go to www.fafsa.gov to create one. Confirm your email address using the secure code, which will be sent to your email address. After you verify your email you can use it instead of your username to log in. An individual who already has a Federal PIN has the option to link that PIN to their newly-created FSA ID during registration. By linking to a “matched” PIN, you will be able to immediately use the FSA ID. It is recommended that you link your existing PIN to immediately use the FSA ID. If you forgot the PIN, please choose “Forgot My PIN” during the FSA ID Registration process. After you have completed the Free Application for Federal Student Aid (FAFSA), we advise you to contact your financial aid officer to notify them that the application has been submitted. Generally within 72 hours PIA is able to retrieve an Institutional Student Information Record (ISIR) and begin the evaluation for an individualized financial plan. In the chance that additional information is required, your financial aid officer will be in contact. If you are a first time borrower to the Direct Loan program, you must complete the entrance counseling before receiving the first disbursement of your federal Direct Loan. The counseling includes information about your rights and responsibilities of being a loan borrower. This can be done by using your FSA ID to log in at www.studentloans.gov. Student loans awarded through the William D. Ford Federal Direct Loan Program require a completed electronic Master Promissory Note (MPN). All Direct Subsidized, Direct Unsubsidized and Direct PLUS borrowers are required to complete the eMPN before any loan funds can be disbursed. This can be done by using your FSA ID to log in at www.studentloans.gov. Private Loans are from private institutions and will require a credit check. These private loans are not Federally Guaranteed and the interest rate on your loan will generally be higher than Federal Direct Loans and will depend on your credit score and/or ability to find a co-signer. Borrowers are strongly encouraged to fully borrow through the federal loan programs, as well as apply for other federal, state, and private financial aid options which may be available to you, before borrowing through a private loan program. Please Note: Private Loan brochures and Self Certifying Forms are available upon request in the Financial Aid Office. As the borrower, you have the right to use any lender. We do not endorse, or recommend, any lender. As a convenience to you, the borrower, we have contacted a number of lenders to gather information regarding their student loan program. 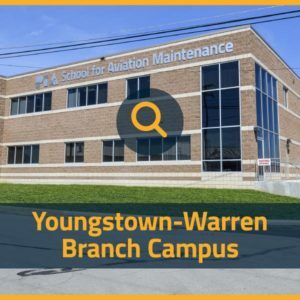 The list was developed using a request for information (RFI) process, and contains the lenders that indicated they will make loans to students attending our school. Further, as the borrower, you should ensure that you understand the exact interest rate you will pay over the life of the loan, which may vary, as well as the terms and conditions of loans from the lender you select. In accordance with the Higher Education Opportunity Act of 2008 (HEOA), PIA has provided the following net price calculator. This calculator is based on institutional data from FY 2016-2017, and is designed to provide prospective students and their families with estimated price information, based on a student’s individual circumstances. It is important to note that calculations required for the Net-Price Calculator are derived from typical 9 month college attendance structure, which can result in adverse differences in the actual cost of attendance for PIA students. PIA’s recommendation is to always complete a Free Application for Federal Student Aid (FAFSA) and allow the Financial Aid Department to supply accurate information specifically for you. After completing the FAFSA, there may be times when additional supporting documentation regarding tax information is required. Below are some helpful tools for obtaining necessary tax transcripts. If you are unable to request your tax transcripts online, please complete a Form 4506-T: Request for Transcript of Tax Return. The transcript will be mailed to the address on the tax return. Upon receipt, please mail the appropriate forms to PIA. At Protoly, we help executives and leaders to find the right coaches to reach their goals. Whether it is to better manage their time or build their teams, Protoly strives to find the perfect executive coach for each individual. We recognize that organizing goals are integral to growth and personal development, and having a coach to guide this process results in great success. Throughout life, people that encourage us can come in various forms – a teacher, religious leader, parent, or an athletic coach. With this in mind, we have created a scholarship for an undergraduate student that best articulates how they were motivated to achieve their goals by their own personal coach. Tell us about an individual such as a teacher, coach, or religious leader that has made an impact on your life. How did this person improve your life? What goals did this individual help you achieve? How will you use advice given by this person to help someone in the future? Submit proof of enrollment or an acceptance letter in an accredited university. We will accept a recent transcript, acceptance letter, or tuition bill. Please note if you are in the process of applying for colleges and universities, please indicate your current school and submit a document with the schools you have currently applied to. If you are selected for the scholarship, we will ask you to provide proof of enrollment for your college or university at that time. Please submit The Protoly Scholarship form. The deadline for the scholarship is February 1, 2020. For full details regarding the scholarship, please visit the Protoly Website. The UNCF Stem Scholarship Program is a new initiative designed to provide scholarship and academic support for talented African American high school students who aspire to pursue careers in STEM fields. The STEM Scholars Program is a ten-year initiative made possible through a generous grant from the Fund II Foundation designed to identify and provide scholarship and academic support for a total of 500 talented African American high school students who aspire to earn STEM degrees and to pursue careers in STEM fields. The program awards last-dollar funding. The program will enable these highly capable young people to pursue undergraduate STEM majors at historically black colleges and universities, private colleges, state universities and technical colleges and universities, from matriculation through graduation, and to prepare them for successful careers in a variety of STEM professions. The application period for the Class of 2019 will open in November 2018 and close on March 3, 2019. For more information on the scholarship program, as well as how to apply, please visit the UNCF website. Complete and submit the scholarship form. For full scholarship details, please click here. Music Authority recognizes the positive impact that music can have on a student’s learning experience. Studies have shown how music can enhance learning from improving memory performance to relieving anxiety, music can be a great component to aid a student’s college experience. Music Authority is offer a $1,000 scholarship to one current or prospective student for the 2019 school year. This scholarship will be offered on a continual basis. All applications must be submitted by April 1, 2019. A winner will be selected and notified via email by April 15, 2019. For more details regarding entry requirements and to submit your application, click here. First Place Windows if offering an annual scholarship for students that are actively working to reduce their carbon footprint. The $1,000 scholarship award was created to encourage students to think about their impact on the environment and how they can work to change it. Full details regarding rules and how to apply can be found here. The Allegheny County Airport Authority Charitable Foundation Scholarship Fund was created at The Pittsburgh Foundation to provide scholarships for a students or students wishing to pursue a career in aviation. The deadline for applying is March 31, 2019. Reside in Allegheny, Armstrong, Beaver, Butler, Fayette, Washington, or Westmoreland County. 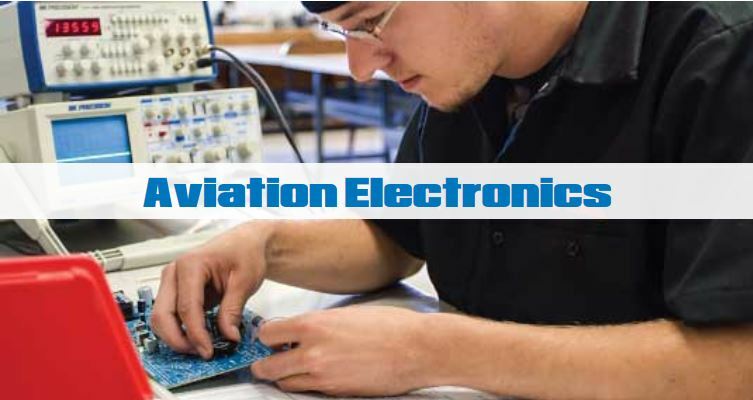 Pursue a degree or studies in aviation science. Have a minimum cumulative GPA of 3.0 or have shown great progress in the junior and senior years of high school. Plan to attend an accredited institution for aviation science. Preference will be given to applicants who have served or are currently serving in the United States military. For full details on how to apply, and to submit your application, please visit The Pittsburgh Foundation Website. • Be a high school senior and plan to attend a college, university or trade school in the fall of 2019. Berkshire Hathaway HomeServices Northwood Realty Services) has a sales office or the counties contiguous thereto. be weighted equally with the degree of academic performance. • Signify the intention to continue academic work beyond the high school level. equivalent, in a school term. The deadline for application March 1, 2019. For full details and scholarship application, click here. 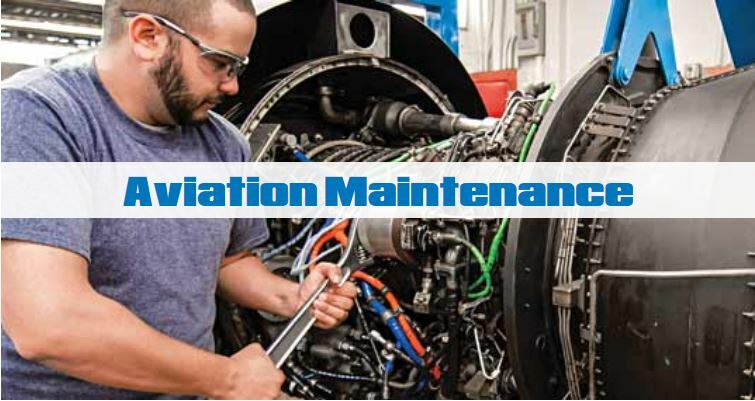 The South Carolina Aviation Association (SCAA) scholarship program will provide limited assistance for South Carolina students who wish to pursue a career in the aviation industry. The objective of the scholarship fund is to promote the aviation industry in South Carolina. Scholarship funds will be provided up to a maximum of $500 for one semester of tuition and books. Funds will be paid to the institution for tuition and books only. For full details on the scholarship and how to apply, please visit the SCAA Wesbite. The team at Mason Finance is driven to create financial security for the growing group of seniors in our country. With this mindset, we recognize how important extra financial assistance can be to students as well. We are offering a scholarship opportunity to one dedicated undergraduate student who can display knowledge and writing skills in an essay surrounding senior financial tools such as life settlements, viatical settlements and annuities as well as modern technology. All applications must be submitted by September 15, 2019. A winner will be selected and notified by October 1, 2019. Today, nearly half of those 65 years and older are economically insecure and will run out of money during their retirements. At the same time, seniors are losing approximately $110B a year due to lapsing life insurance policies. The reason is that nearly 90% of seniors are unaware that you can sell your life insurance policy. Many seniors fall into financial difficulties through no fault of their own. What reasons do you think factor into this problem? When considering the finances of those already retired, how do you think new technology can help them gain access to historically hard to reach retirement services such as a life settlement, viatical settlement or annuity? Keeping in mind seniors are less likely to feel comfortable using technology and less trusting of the internet, how do you think modern companies can best manage that balance? For full details on the scholarship, please visit Mason Finance. Pittsburgh Institute of Aeronautics students are eligible to apply for a $3,000.00 annual scholarship. Olive’s publication’s mission is to increase financial literacy among individuals under 30. One way we’d like to continue in that direction is to help students alleviate overwhelming amounts of student loans. 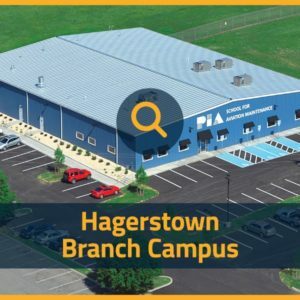 In order for a student to qualify, they must be currently enrolled with PIA – Pittsburgh Institute of Aeronautics and be able to demonstrate financial need. Individuals born in 1988 or later. Is the status quo growing of national, state and municipal debt (bond issues) sustainable in the long-run? What level of wealth inequality, if any, is appropriate in a free society? What is the most important habit a young personal should develop to secure their financial future? Please send your essay, as a PDF file, to scholarship@theolive.com. For full details on the scholarship and entry requirements, please visit The Olive Branch Scholarship Website. The Higher Education Opportunity Act (HEOA) requires education institutions to develop and comply with a code of conduct that prohibits conflicts of interest for financial aid personnel. Any PIA officer, employee, or agent who has responsibilities with respect to student educational loans must comply with this code of conduct. The following provisions bring Pittsburgh Institute of Aeronautics (PIA) into compliance with the federal law. 1. Neither PIA as an institution nor any individual officer, employee or agent shall enter into any revenue-sharing arrangements with any lender. A revenue-sharing arrangement means an arrangement between PIA and a lender under which the lender provides or issues loans to students attending PIA or to the families such students; and PIA recommends the lender or the loan products of the lender and in exchange, the lender pays a fee or provides other material benefits, including revenue or profit sharing, to PIA or its agent. 2. No officer or employee of PIA who is employed in the financial aid office or who otherwise has responsibilities with respect to educational loans, or agent who has responsibilities with respect to educational loans, or any of their family members, shall solicit or accept any gift from a lender, guarantor, or service of education loans. For purpose of this prohibition, the term “gift” means any gratuity, favor, discount, entertainment, hospitality, loan or other item having a monetary value of more than a de minimus amount. 3. An officer or employee of PIA who is employed in the financial aid office or who otherwise has responsibilities with respect to education loans, or an agent who has responsibilities with respect to education loans, shall not accept from any lender or affiliate of any lender any fee, payment, or other financial benefit (including the opportunity to purchase stock) as compensation for any type of consulting arrangement or other contract to provide services to a lender or on behalf of a lender relating to education loans. 4. PIA shall not: a) for any first-time borrower, assign, through award packaging or other methods, the borrower’s loan to a particular lender; or b) refuse to certify, or delay certifications of, any loan based on the borrower’s selection of a particular lender or guaranty agency. 5. PIA shall not request or accept from any lender any offer or funds or be used for private education loans, including funds for an opportunity pool loan, to students in exchange for the institution providing concessions or promises regarding providing the lender with: a) a specified number of private educational loans (non-Title IV loans) or loans made, insured, or guaranteed under Title IV; b) a specified loan volume of such loans; or c) a preferred lender arrangement for such loans. 6. PIA shall not request or accept from any lender any assistance with call center staffing or financial aid office staffing. 7. Any employee who is employed in the financial aid office, or who otherwise has responsibilities with respect to education loans or other student financial aid, and who serves on an advisory board, commission, or group established by a lender, guarantor, or group of lenders or guarantors, shall be prohibited from receiving anything of value from the lender, guarantor, or group of lenders or guarantors, except that the employee may be reimbursed for reasonable expenses incurred in serving on such advisory board, commission, or group.